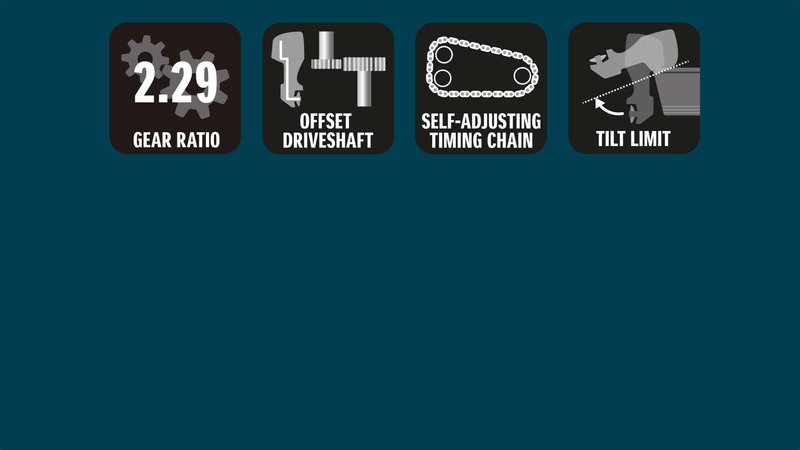 Features include a 55-degree V-cylinder block - an industry first with the largest reduction gear ratio in its class. The 55° engine gives a narrow compact design which is ideal for double or triple installations. Propeller Selection (pitch): 15" -27.5"